A brand new home under construction in the new community Canyon Trail in Traverse Mountain. The Traverse Mountain community comes with many amenities such as a pool, clubhouse, 8 parks, tennis courts, walk/hiking/biking trails, and is located close to lots of wonderful shopping, restaurants, and world-class technology companies within just minutes. This townhome features the Rockport C floor plan with 3 bedrooms, 2.5 baths, and a large kitchen/family/dining layout on the main floor. The home features stainless appliances in the kitchen, upgraded can lighting package, white cabinets, granite countertops in the kitchen, quartz countertops in the bathrooms, double sinks in the master bath, and many more beautiful finishes. 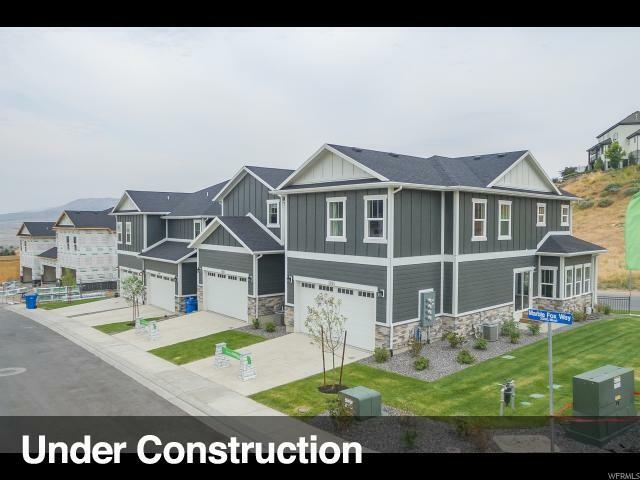 Contact the agent to learn more about colors and to schedule a walk-through of these brand new townhomes in Traverse Mountain. Listing provided courtesy of Fieldstone Realty. Information deemed reliable but not guaranteed accurate. Buyer to verify all information. © 2019 Wasatch Front Regional Multiple Listing Service, Inc., All Rights Reserved.